Help Kids in Need with Children's Miracle Network, Johnson's Baby, and Walmart! Because I care such much about children's charities, I've partnered with The Motherhood and the JOHNSON’S® Baby brand to bring you this post. All opinions are my own. I have been so blessed to carry 6 babies to term and have them delivered healthy and strong (like little Manny, our newest baby, above). Even with a few close calls and 6 c-sections, we have never had to treat our kids for any serious illnesses or injury. Not everyone is so lucky, however. Fortunately, there are organization like the Children's Miracle Network who go above and beyond to be there when things don't go as planned. Are you familiar with Children's Miracle Network? I have had friends how have personally benefited from their great work when their own children have gotten sick. Children's Miracle Network Hospitals raises vital funds and awareness for 170 member hospitals across the U.S. and Canada. But the really cool thing is that donations stay in the area they are raised to help local kids. So, if you give, you can be sure kids in your own community are being helped first! Hospitals can decide the best way to use these funds, from treatments to equipment to charitable care. Their belief that "all children deserve the chance to live better, healthier lives" is one that I think we can all get behind! You may also know that I am a Walmart Mom Blogger. I have such a high respect for the Walmart brand, and I love that they give so much to charity throughout the year. In fact, Walmart has supported Children’s Miracle Network Hospitals for over 25 years, raising more than $650 million in the process. How do they do this? One way is by partnering with Walmart's suppliers, like JOHNSON’S® Baby and the charitable branch of the company: JOHNSON’S® Baby CARES. They are working together from now until June 30, to donate $1.00 for every JOHNSON’S® Baby product sold to benefit Children’s Miracle Network Hospitals. 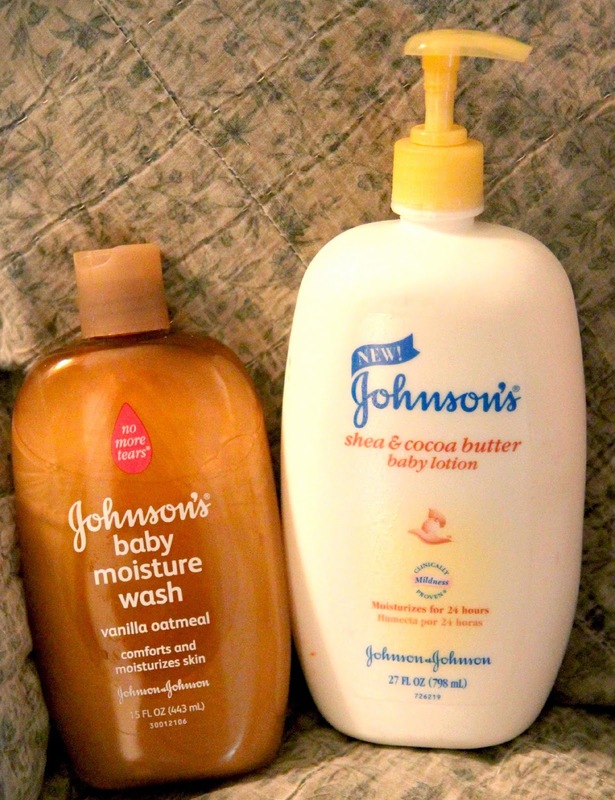 If you already buy Johnson's Baby products (like we do -- I'm a big fan of the Vanilla Oatmeal Baby Moisture Wash), you'll love that your everyday purchase helps kids in need! What can you win? They will give away five gift baskets, each including an assortment of JOHNSON’S® Baby products. Winners will be selected randomly from those who correctly answer trivia questions tweeted by @theMotherhood25. Prizes are limited to U.S. participants only, 18 years and older. No purchase necessary, void where prohibited.